Feeling more tired is a natural effect of aging – except when it isn’t. A number of factors can contribute to lowered energy, from diet and exercise to illnesses or medication. Although fatigue is common and can seem inevitable, steps can be taken to beat tiredness. Changes in activity levels, altering a diet or even a visit to the doctor could be the key to getting some energy back. Here are five ways to boost your energy levels. Eat more fruits and vegetables for a diet that is high in nutrients and low in calories. Dark-colored fruits and vegetables like berries and broccoli are especially loaded with nutrients. Whole grains and low-fat dairy also provide energy-rich carbohydrates. Cold-water fish like salmon and halibut are rich in omega-3 fatty acids, which help memory, brain function and mood. These, in turn, help boost energy levels. Food can give a big boost to energy, so make sure to eat a healthy diet that will give you energy without packing on the extra pounds. The last thing you may want to do when you are low on energy is go for a quick jog. However, physical activity will actually help increase energy levels. You don’t need to engage in strenuous activity like running, jogging or lifting weights to improve your energy. Instead, start with walking, tai chi, yoga and other low-impact exercises. 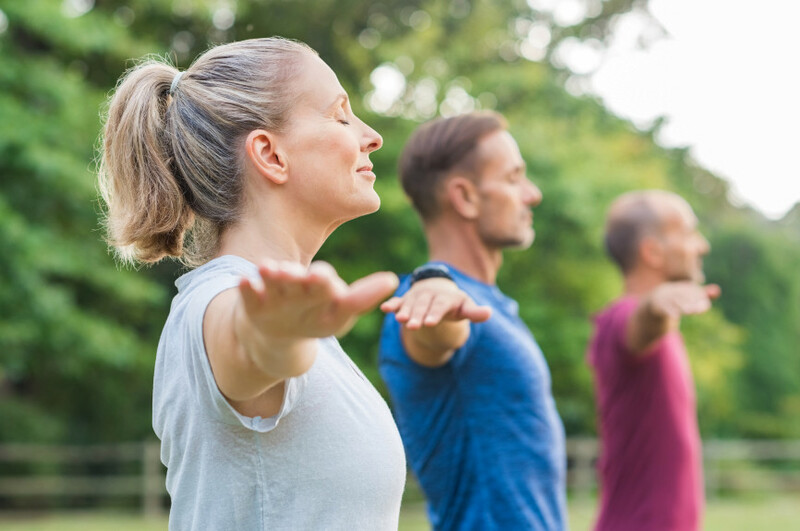 These activities can help boost energy levels and mood without risking injury. Stress can be a big contributor to low energy. Stress over finances, family life or a busy schedule can sap energy, which can continue to increase the burden a person feels. Ask people for help with daily tasks to help ease the load. Find ways to relax throughout the day to lower the stress level and increase the overall energy level. Losing sleep is often a common occurrence for seniors. Naturally, the less sleep a person gets, the less energy they will have during the day. Ease off the caffeine during the day to help you fall asleep at night. Regular exercise will also have the effect of improving sleep. If you are still feeling tired during the day, try a power nap early in the day. Don’t nap too late, however, or it may affect nighttime sleep. Although many causes of low energy can be addressed with lifestyle changes, it is important to visit a doctor to rule out serious conditions that could be causing fatigue. Medications for pain or nausea and antidepressants and antihistamines can also cause tiredness. Check with your doctor to make sure there isn’t an underlying medical reason for your fatigue. Tiredness does not need to be a fact of life as you age. Simple changes to your diet and lifestyle can make a big difference for your energy level. If feeling tired is becoming a daily occurrence, talk to your doctor about what can be done to improve your energy levels and get you back to feeling like yourself.